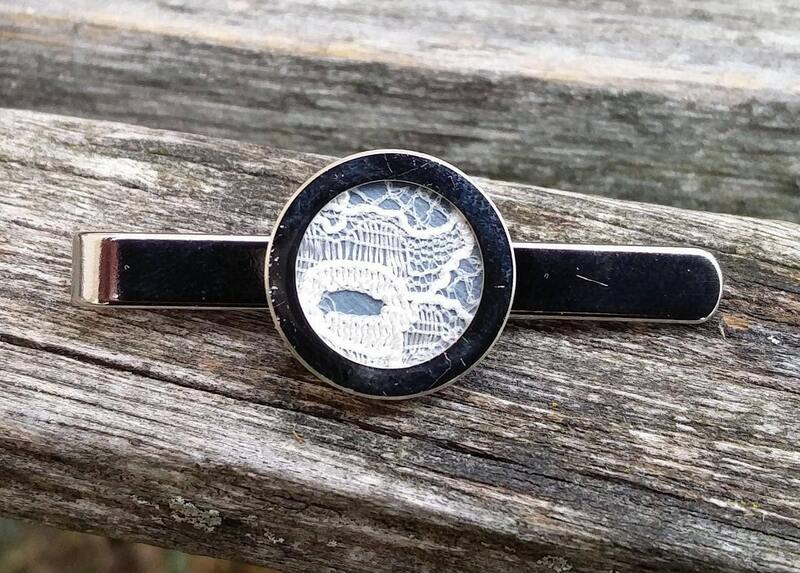 This listing is for a custom order for a silver tie clip. Here is how it works! 2. 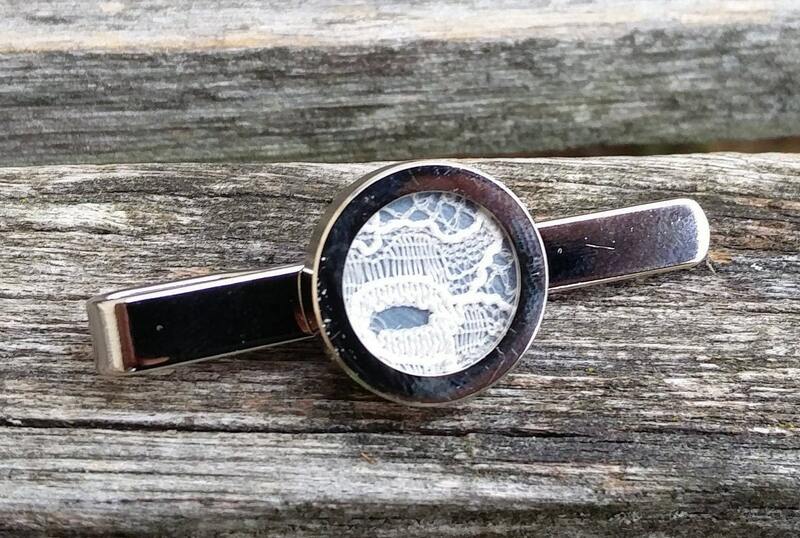 Mail me pieces of lace from your wedding dress, or veil, or any other thin fabric you want made into a tie clip. I can use pieces of t-shirts or other fabrics as well. 3. 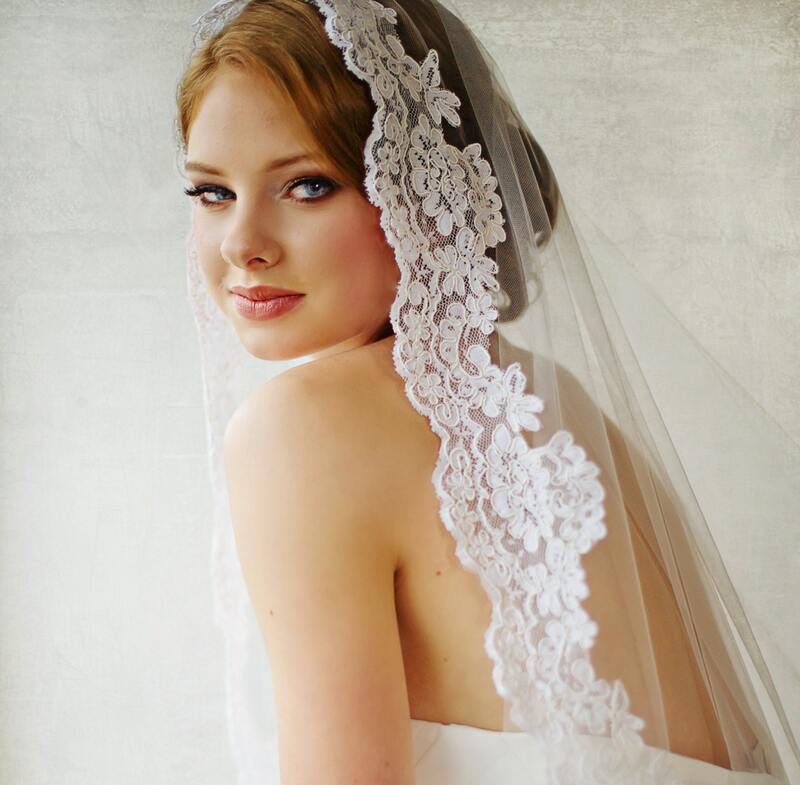 Choose what color background you would like (for lace only). 4. 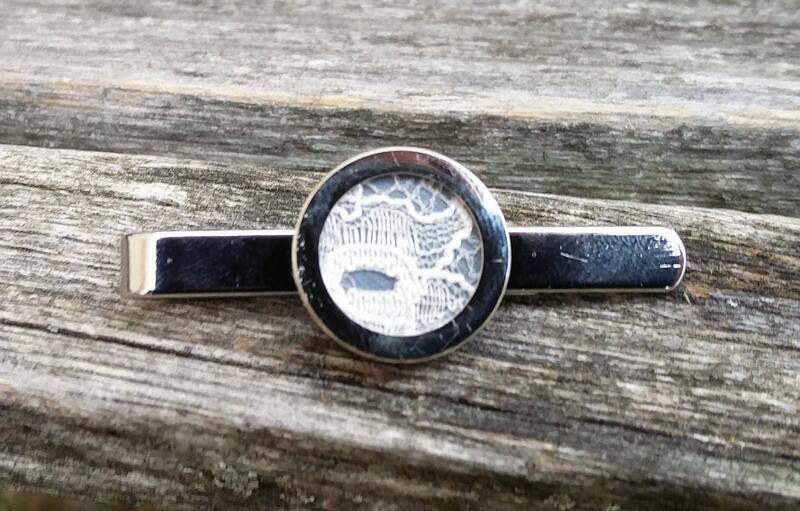 I will make your tie clips and mail them back to you. ****THE PIECE YOU SEND ME MUST BE THIN AND FLAT (JUST LIKE A PIECE OF PAPER). I CANNOT PUT ANY BEADS OR APPLIQUE IN HERE. IT MUST BE PAPER THIN! ***No thick embroidery or raised decoration of any kind. 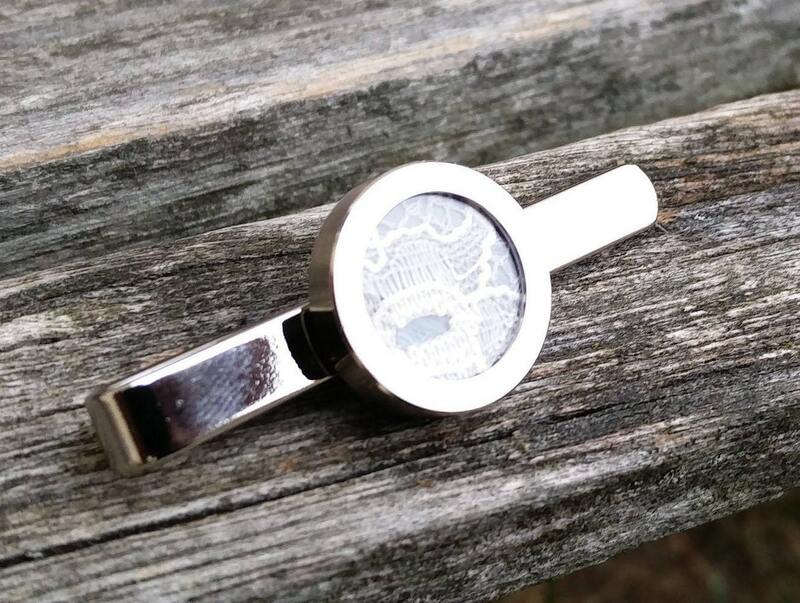 These are perfect to give to your groom, your dad, grandpa, or groomsmen. 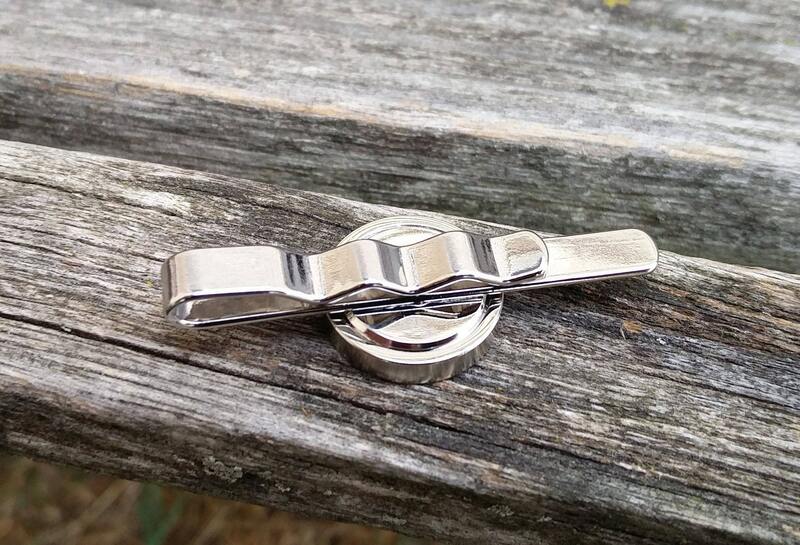 The perfect anniversary gift!